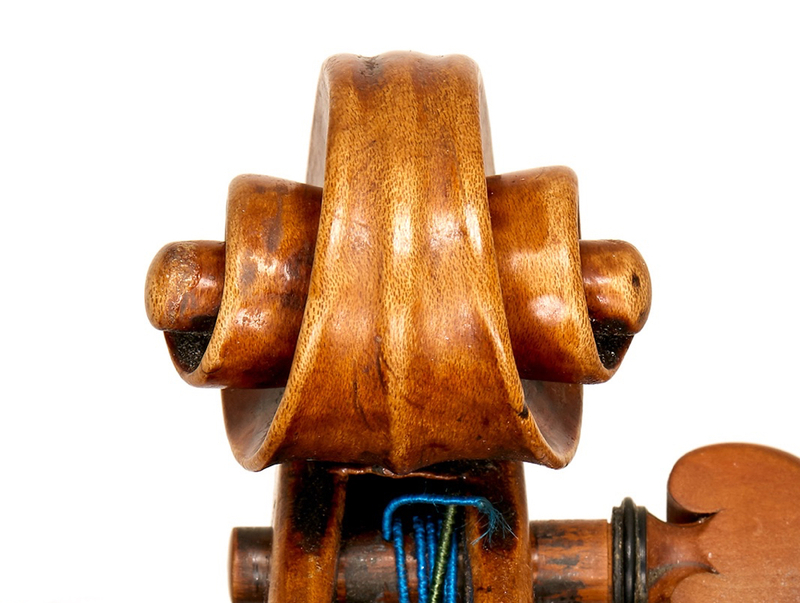 Photographs of the Guadagnini (including detail shots below) by Robert Bailey, Tarisio. 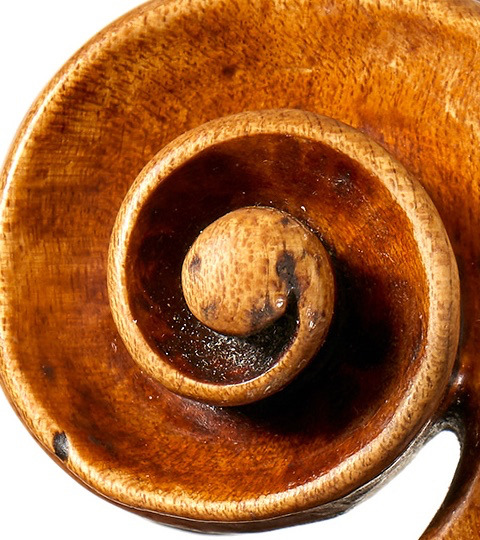 The back of this 1745 violin is formed of two pieces of a stunning maple with attractive wide flame. Like other Piacenza Guadagninis the upper and lower bouts are rounded over the blocks and give the impression of sloped shoulders. The C-bouts are also rounded. 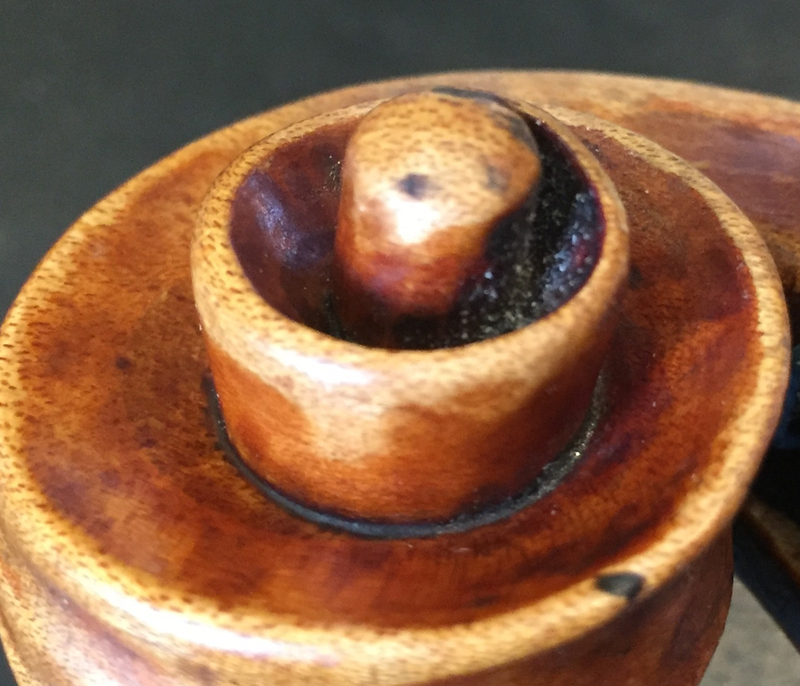 The center joint is visibly off center at the upper bouts and bisects the button biased to the bass side. 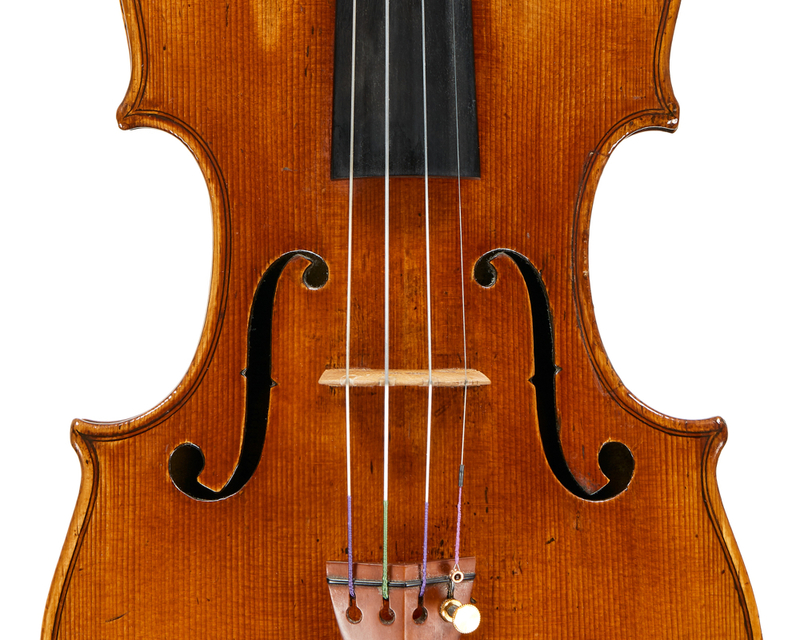 The locating pins are set several mm inside the purfling which was a feature Guadagnini continued through his various periods of his career but it’s interesting to note that sometime around 1745–47 he stopped positioning the pins directly on the centre joint of his two piece backs. 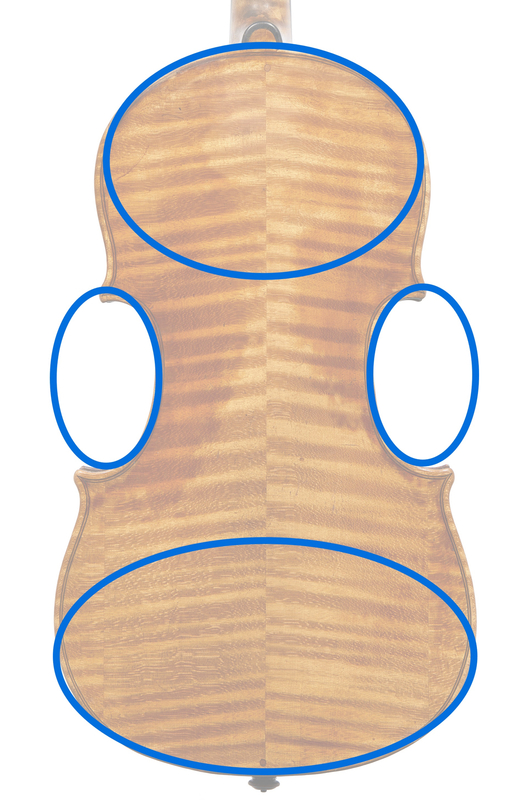 The pins on the one piece backs stay central for the rest of this career but the pins on the two-piece backs after 1745–47 are offset – perhaps in a conscious effort to prevent the center seam from opening over time. The arching is somewhat peaked at the middle and flattened at the flanks of both the back and the front. The purfling is wide and set close to the edge. At the corners the purfling mitres point to the middle of the corner, unlike those of most Cremonese makers, who biased towards the C-bout. 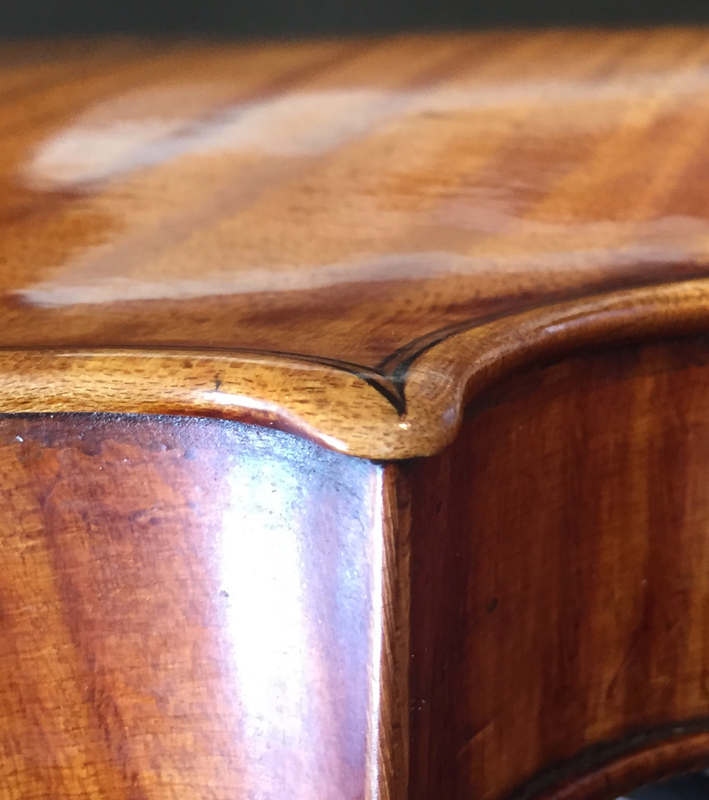 The corners appear to have been rounded over deliberately, possibly by a misguided restoration, or perhaps this is just the natural result of nearly 300 years of use. The soundholes are short and fully S-shaped, but elegant and full of character. 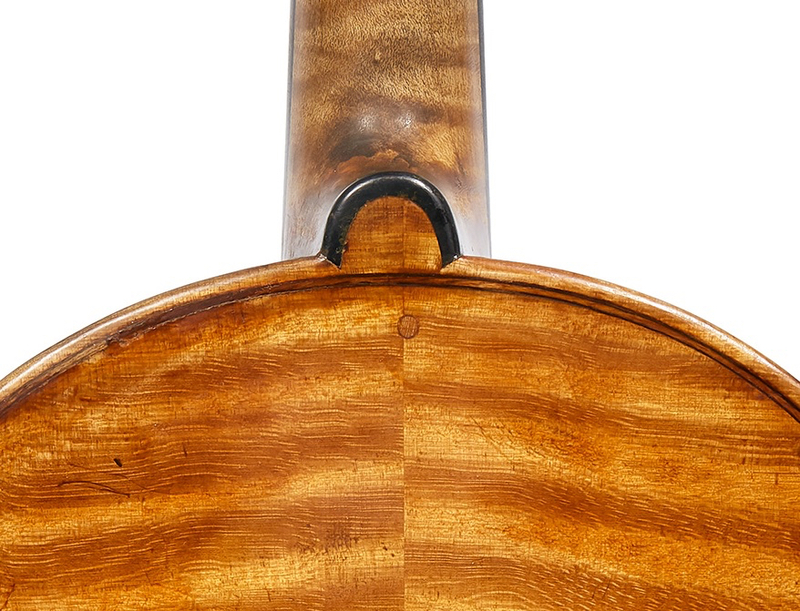 The oval lower lobes that we associate with Guadagnini had not yet come into use and the holes are circular although not perfectly round. The notches are prominent and triangular and the wings are only lightly fluted. The head is full of character and flair. 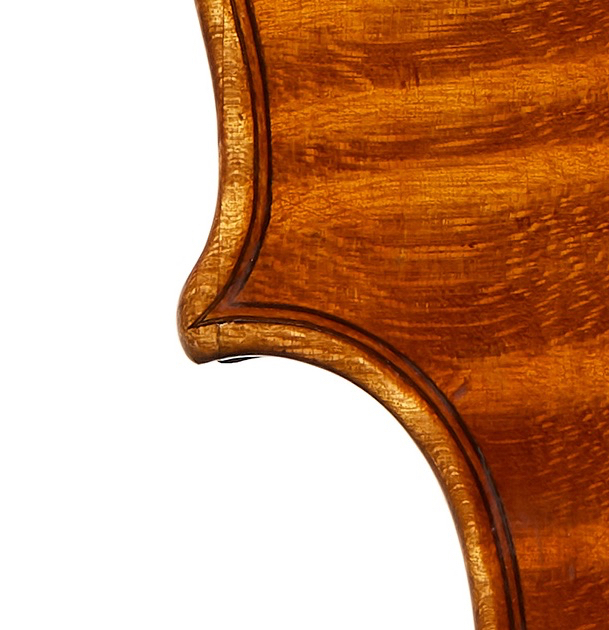 The volute is deeply carved and extremely potted in a way we associate with Guarneri ‘del Gesù’ but rarely with Guadagnini. When viewed from the front and back the turns of the volute appear not cylindrical but conical as if they were stacked flower pots coming out of each side of the head. The result is dramatic and yet elegant. 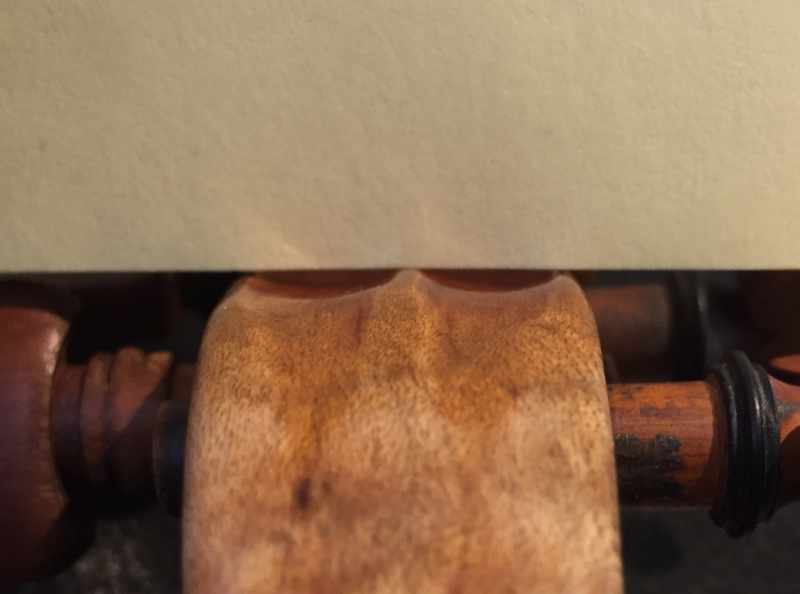 The side of the head shows the small black points left over from the template Guadagnini used to lay out the volute. 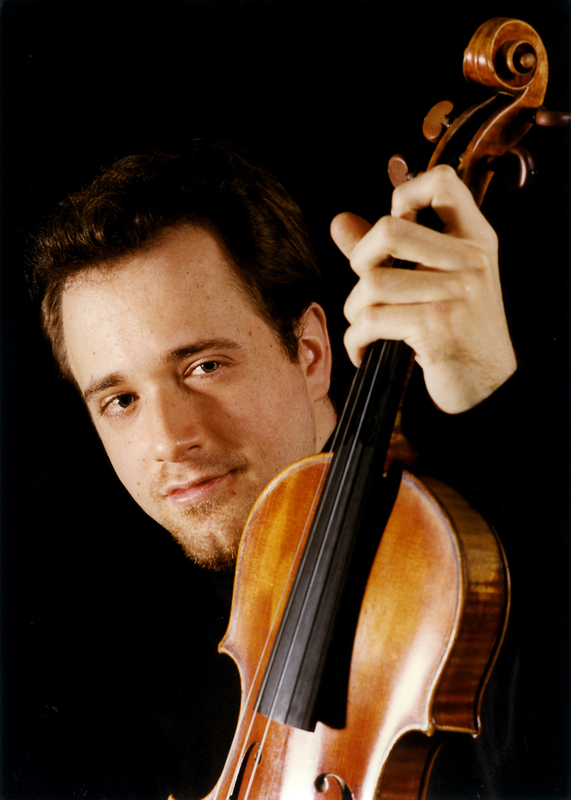 The back of the head is higher at the center ridge than at the edges as is typical for Guadagnini. 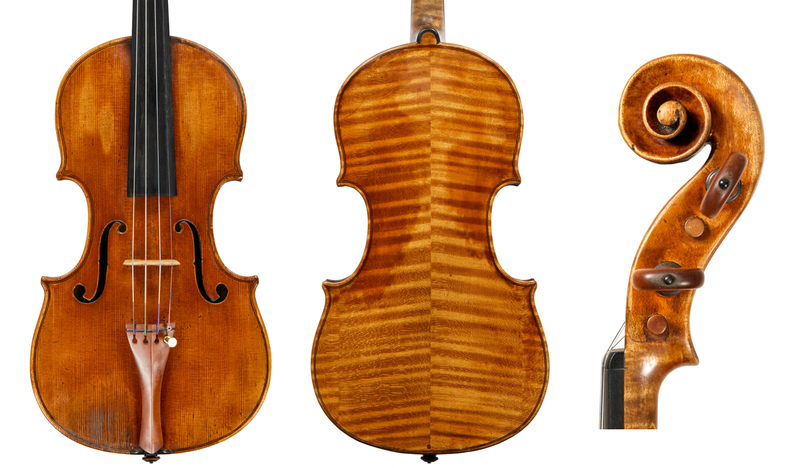 The attractive reddish-brown varnish of this violin and the high-quality materials foreshadow the instruments Guadagnini would make in Milan in the next period of his career.